Hurry, Only 6 Left ! 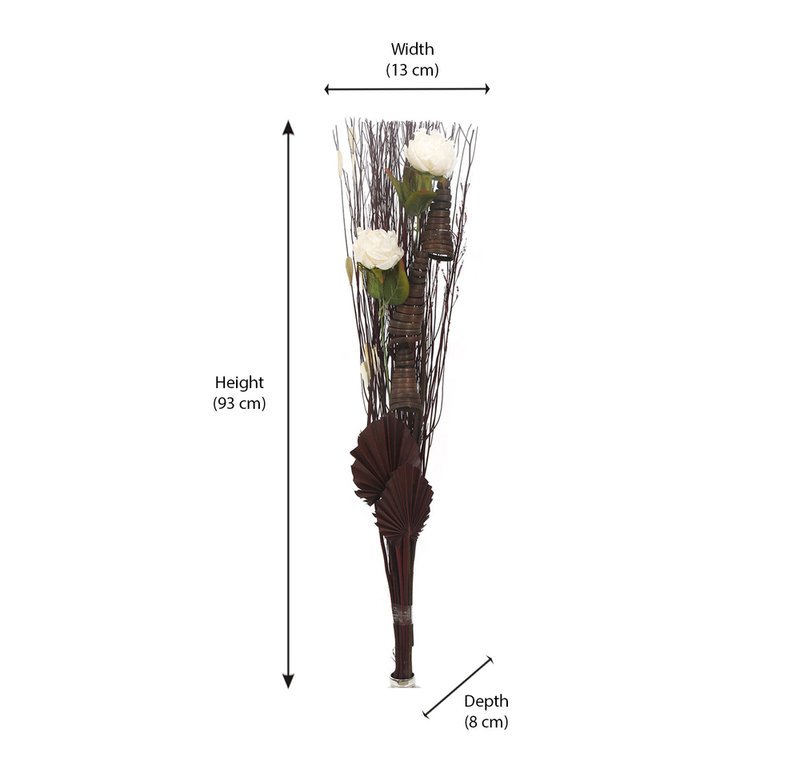 Beautifully handcrafted wicker flower bunch will be an excellent decoration for home. Nilkamal’s Solitary Medium Wicker Bunch prettifies the home. The flower buds have a special grace with it and beautifies the surrounding. The decorative flowers have good height which could be the centre of attraction. They can be used in homes, offices, hotels, resorts, restaurants and other places to attract the people. They are designed in such a way that it gives realistic feel. The flowers will give a graceful gaze when placed in a vase or wicker basket. The beige coloured flowers are simply adorning and give a poetic feel to the ambience. @home products are unique and come with good quality. To know our other exciting products, please scroll down to view them.